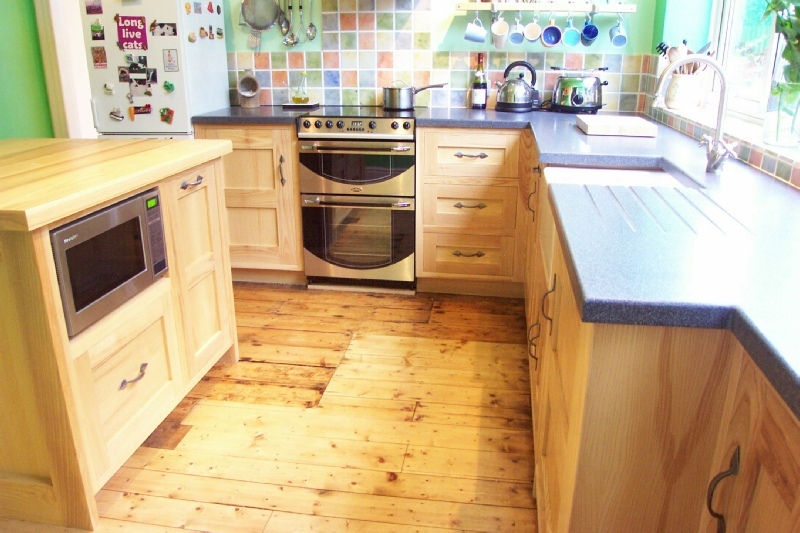 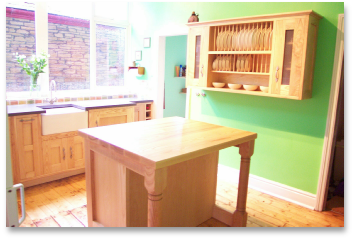 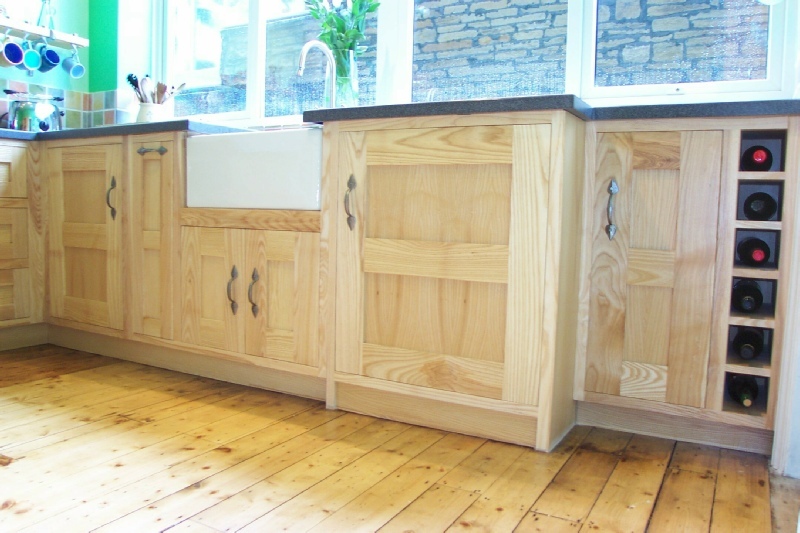 This Ash kitchen has both traditional and modern elements. 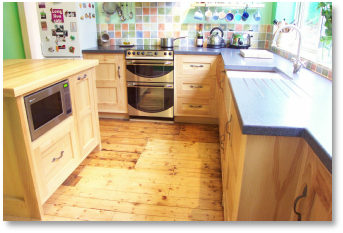 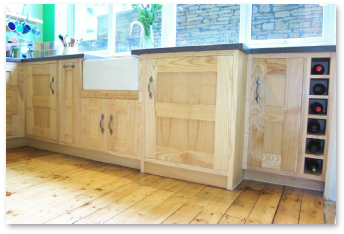 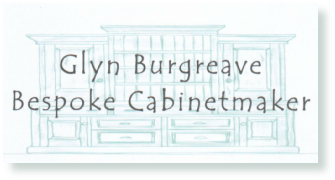 The island cabinet, with its solid Ash worktop, has a workable area on one side and a seating area on the other. 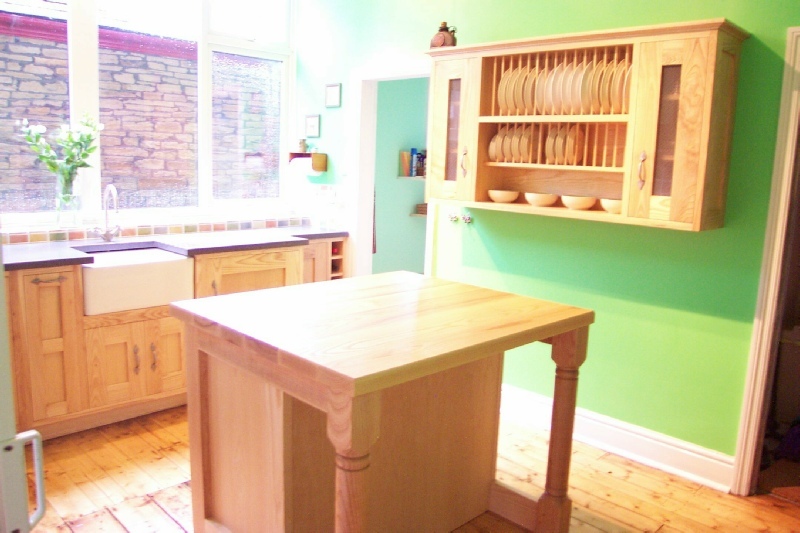 The imposing plate rack takes pride of place on previously unused wall space. 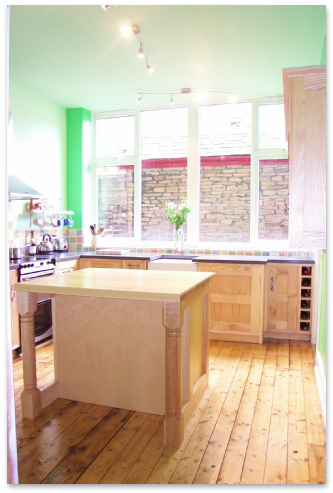 Hard-wearing Corian© was chosen for the main worktops as a contrast to the honey colour of the Ash. The modern element comes with the choice of appliances and vibrant wall colour.